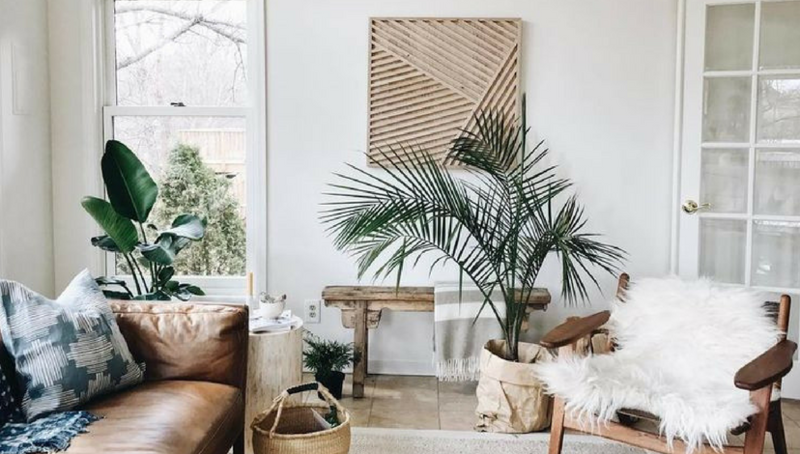 Tropical influences are trending in interior design: from bold color palettes, to bright tropical floral and greenery, these exotic elements are making striking statements. 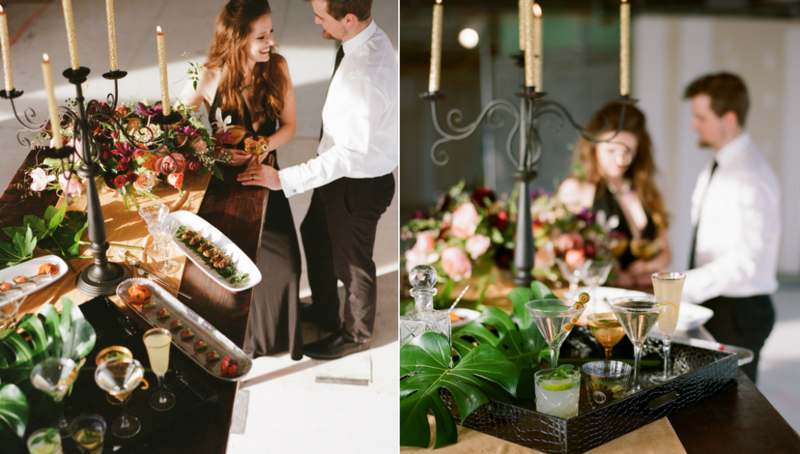 Tastemakers in the special event industry are taking note, and we see the tropical influence all around the country. If you’re looking to showcase this chic look, here’s some of our favorite interior design inspirational shots and how to achieve the look with linen. Discover how this photo shoot brought the popular style of the tropics to life! 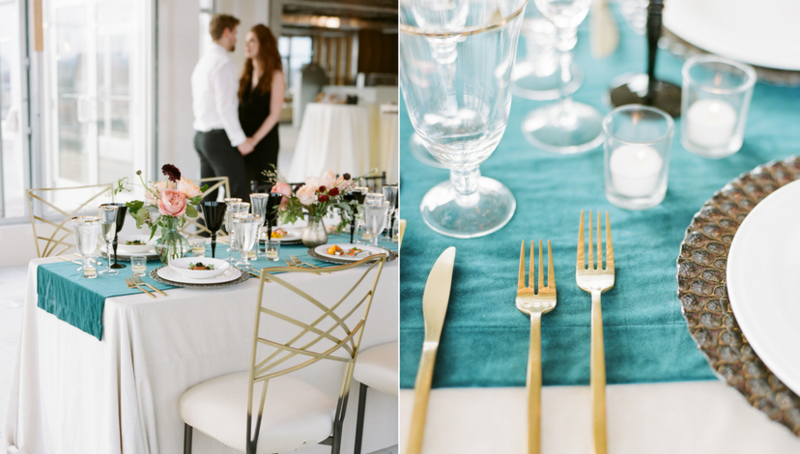 While spring and summer weddings are full of light and airy inspiration, this event takes on the darker and moodier color palettes. 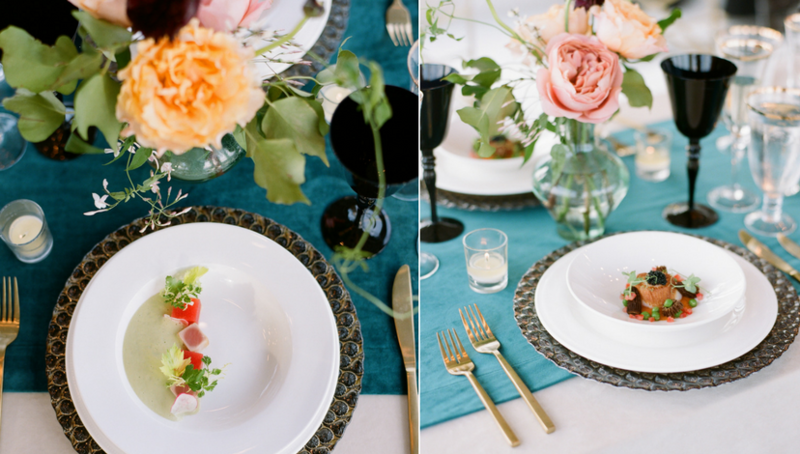 Rich green tropical leaves, dark maroon florals and arctic velvet linen are a new twist on traditional tropical colors, taking the color spectrum and turning it into a masterpiece. Tropical elements that make a statement, like the tropical leaves seen in this modern living room, accentuate a neutral palette. Tropical leaves are front and center as they accent the ends of the neutral couch and chair. Deep blue, pillows add that light hint of color to add to the tranquil setting. 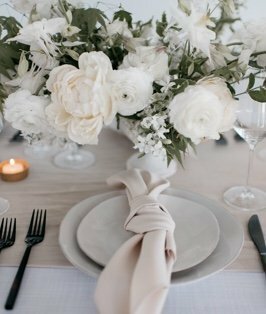 This tablescape starts with traditional elements: soft ivory linen, clear glasses, white bowls and china, gold glassware, and multi-colored florals. Incorporating the blue table runner and the black glasses adds an exotic, moody vibe for a unique take on a tropical-inspired design. 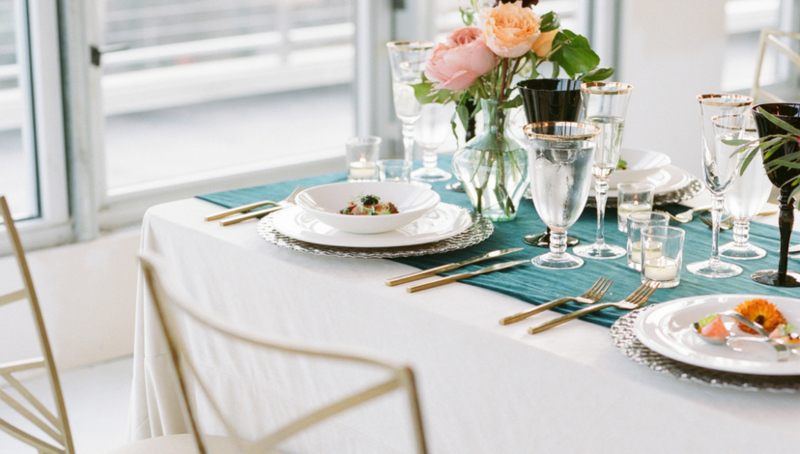 What better way to complement a table set than dark, black glasses and shiny gold silverware? The chargers’ texture brings the moody look to life. In the same way, this entryway features thoughtful riches. Bright red adds a bold statement, while the fish details on the table legs give a nautical feel. Blue walls and towels are reminiscent of the ocean. 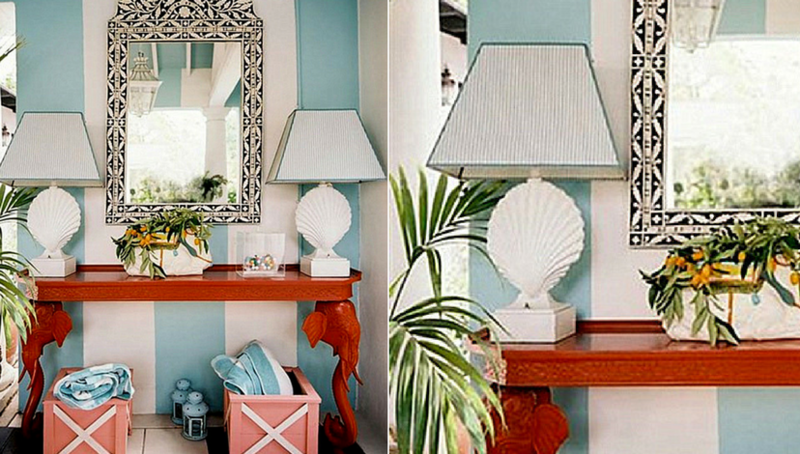 Plants and seashell lamps top off the look to complete this tropical hallway. What better way to capture moody, romantic vibes than with furniture pieces of bold colors? 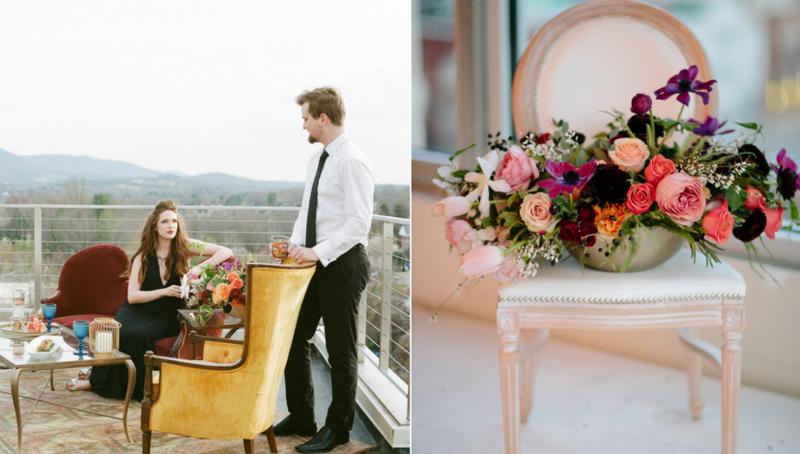 The mustard yellow chair complemented by a maroon love seat is the perfect setting for outdoor cocktails. Throw in a curved leg coffee table, and the outdoor setting is complete. 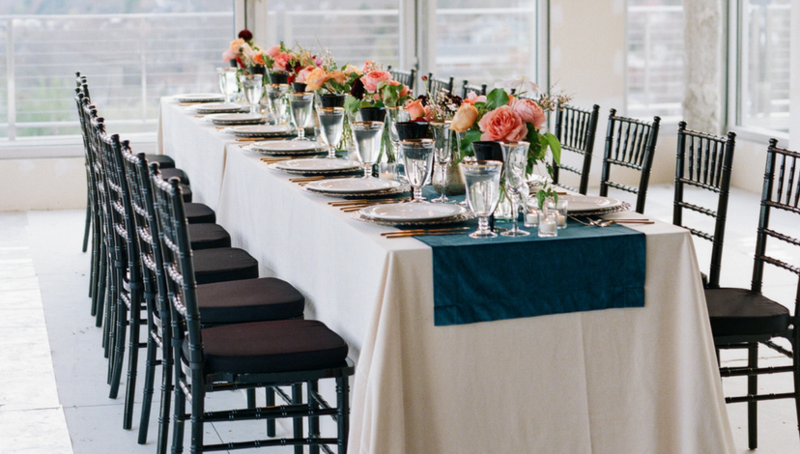 Like our styled shoot, pink florals are a focal point to this dining set. 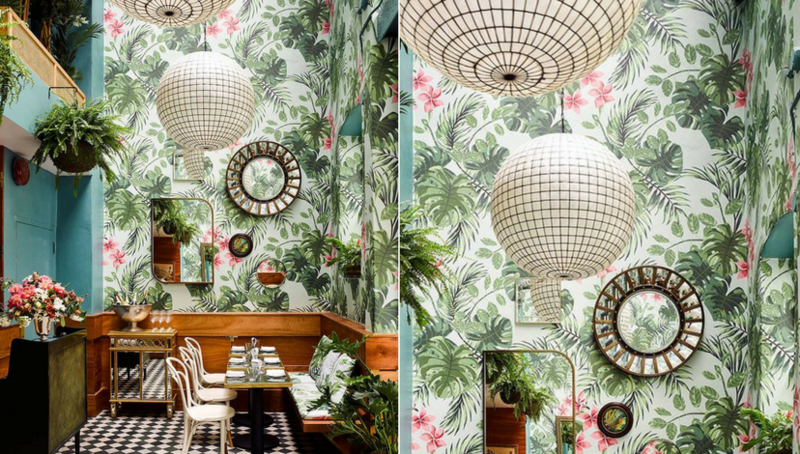 Incorporated in the walls and the counter, they complement the bright green tropical leaves. A black and white patterned floor makes a statement against the neutral chairs and white walls. With all the dark pieces complementing the moody vibes, a peach runner is the perfect tropical pop of color. Paired against the dark wood table and snakeskin-serving tray, the scene brightens up and completes the tropical feel. 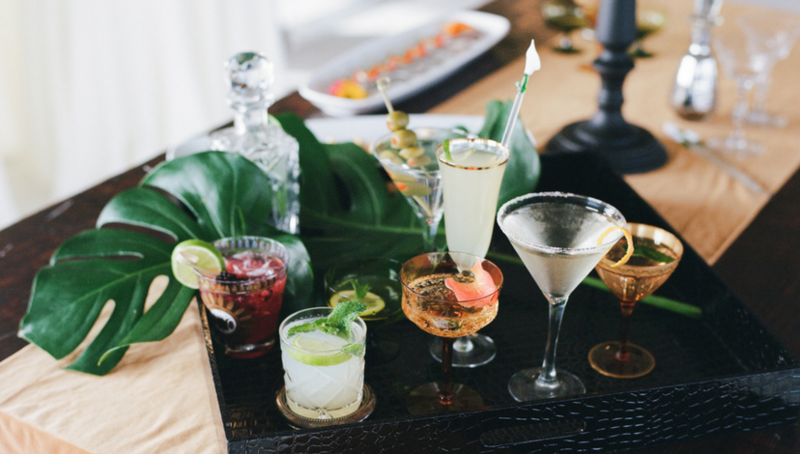 Summertime is the perfect opportunity to have a tropical event. 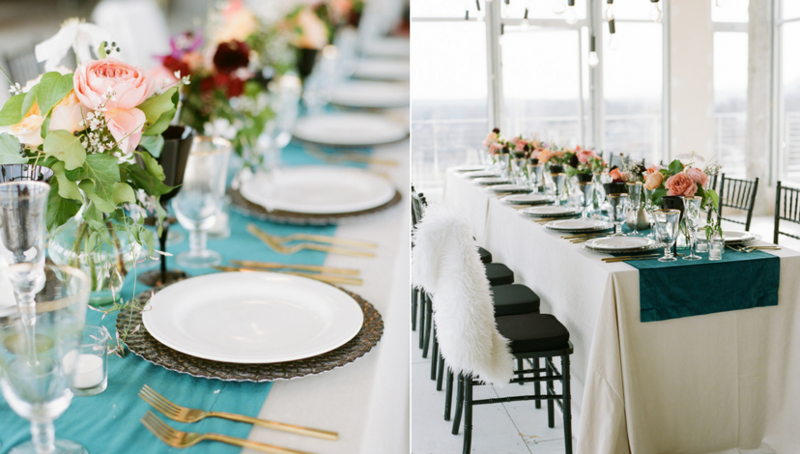 Spice it up and make it unique by adding moody elements, and creating an event so unique, people won’t be able to forget.